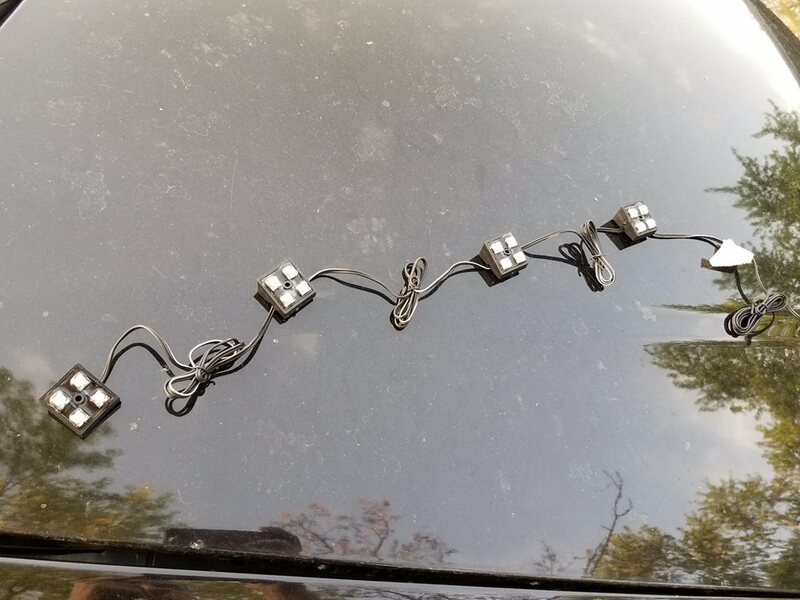 Project "convert everything to LED"
So the crown Vic has a huge trunk and only one little light, this doesn't go well by me, so I went to good ol auto zone and found these little stick on LEDs. 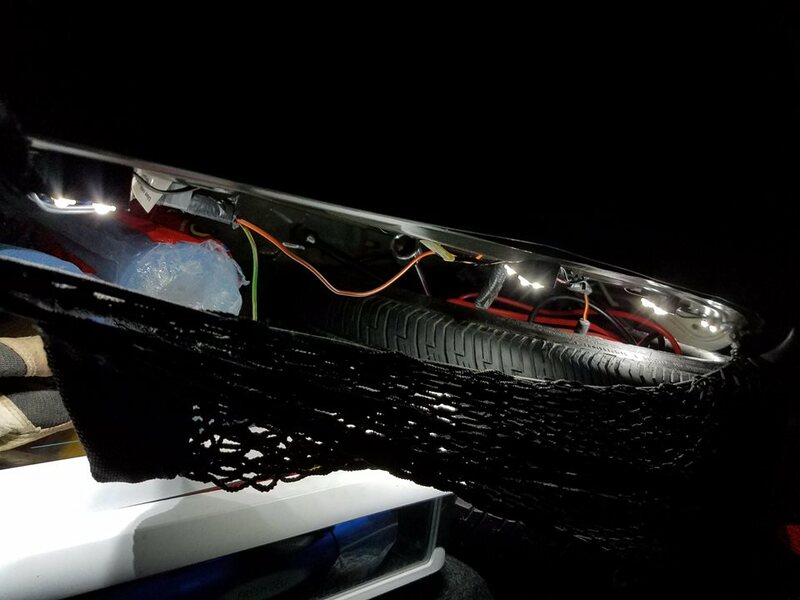 So after purchasing these LED lights I went home, cut the factory trunk light out and using the existing trunk light wires I installed the LEDs. So far I really like them! 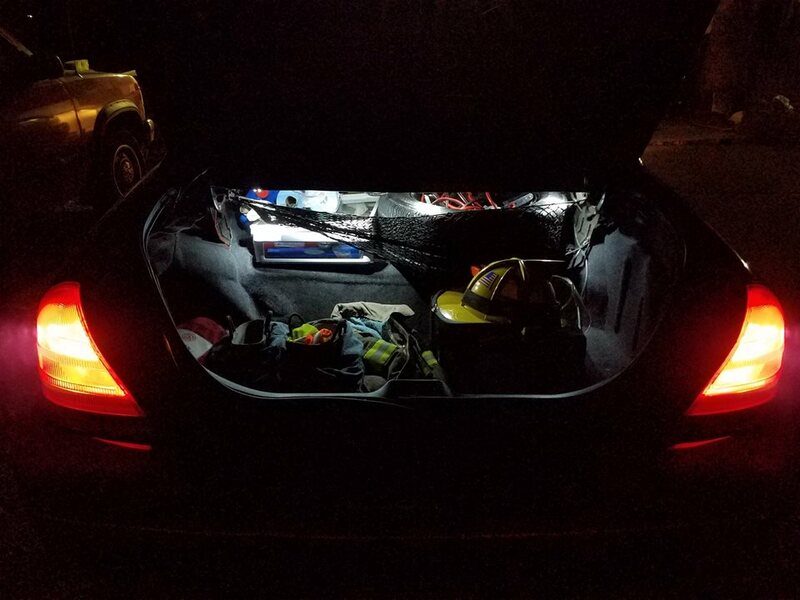 The 3M sticky pads that come with the LEDs hold up really well, and the set lights up the entire trunk nicely while being friendly to your battery! 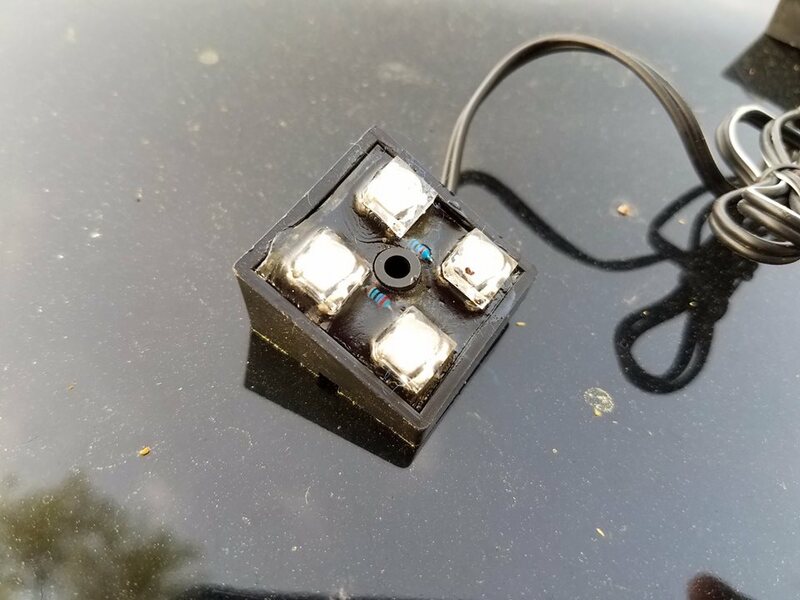 change my lights for led lights to see better ! 24 pods in total. 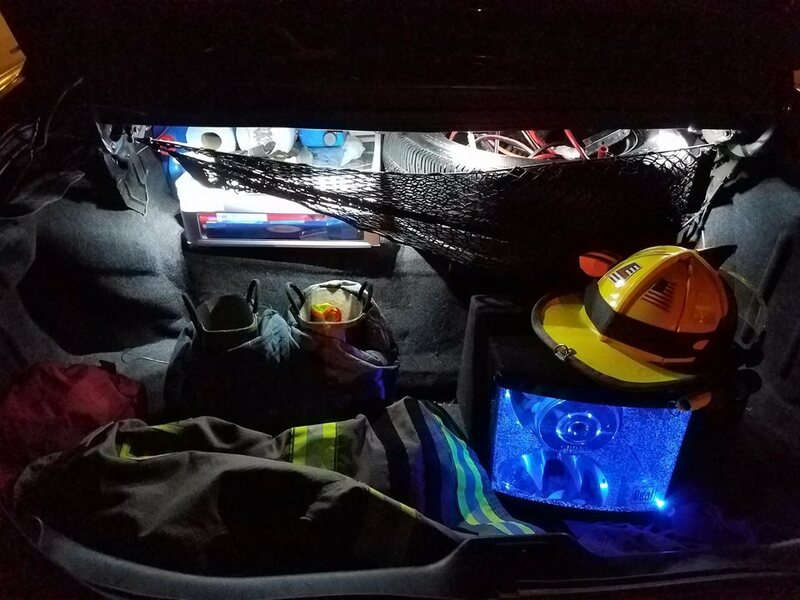 16 under the Jeep, 2 under the hood, 4 attached to the roll bar, and 2 still to be placed.